Working Profile Simon Solomon (aka Dr Simon Thomas) is a practising poet, editor, translator, Humanities lecturer and private tutor. He currently serves as managing editor with the academic journal Psychoanalysis, Culture and Society. He is a professional member of the Irish Writers Centre and associate member of the Association of Freelance Editors, Proofreaders and Indexers. Drawing on a professional background as a poetry reader with The Literary Consultancy (London), he is an experienced teacher with historic working ties to the Arvon Foundation, the Poetry School and the Yeats International Summer School, Sligo. Following relocation to Dublin in October 2015, he is available for developmental editing, copyediting and proofreading of poetry, literary and academic manuscripts, workshop/lecture projects on interfacing poetry, philosophy and psychology, and English teaching assignments. Current Projects He is currently preparing for publication a poetry pamphlet, My grandaddy’s demon, researching a poem-in-progress on the ‘possession’ case of Anneliese Michel, and developing a suite of Ireland-based psychogeography ‘happenings’ he hopes may pique the curiosity of poets, occultists, artists and misfits across a range of creative in/disciplines. 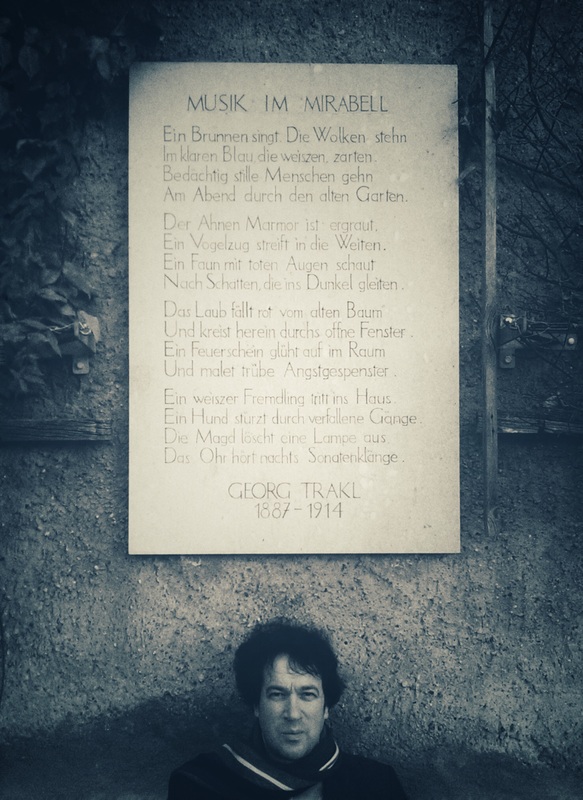 Academic Training With a postgraduate formation in European poetics, philosophy and post-Jungian psychology, he gained his PhD from the University of London in German Literature (2008), submitting a trilingual thesis on the ‘schizopoetics’ of the Swabian poet Friedrich Hölderlin. He holds an MA in Creative Writing (Boston University, 1994), where he studied poetry under US scholarship with Derek Walcott, Robert Pinsky and Geoffrey Hill, and an MA in European Philosophy (Warwick, 1991, with distinction). His English teaching certificate was awarded by the British Institute, Paris (1992). Teaching Experience He has held instructor positions in the inter-disciplinary Humanities, German-English translation and Academic English at a number of universities, colleges and institutes, including the University of Tübingen, Birkbeck College, the University of Hull, Loughborough University, Morley College, the Hochschule der Medien (Stuttgart) and the Anglo-German Institute. 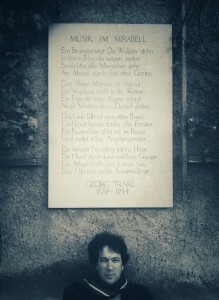 Publications/Creative Projects He has published literary reviews, translations and poetry with Agenda, Comparative Critical Studies, Harvest, Cambridge University Press, and the Berlin-based music cooperative Testklang, co-staged original English adaptations of playlets and poetry by the Austrian poet Georg Trakl, and produced a first English translation of Stephan Hermlin’s radio play, Scardanelli.